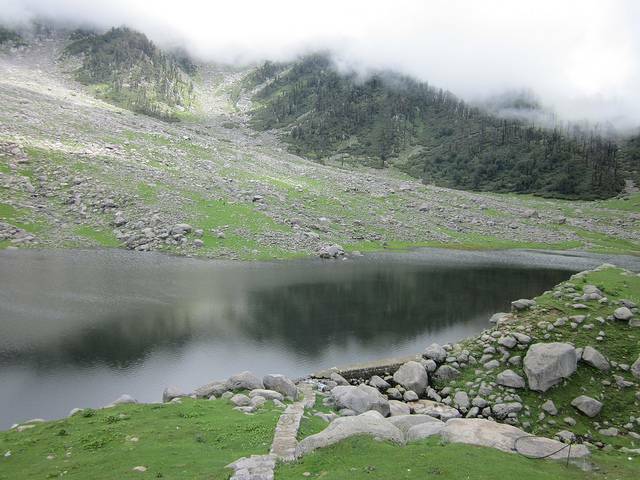 Kareri Lake is the focus of many a trekking day out in the Kangra region, this is a small lake attractively perched on a hillside a short 10km hike out of town. Fed by mountain streams and glacier water year round, the waters are crystal clear and cool for a dip in the summer months. Visitors wishing to go there simply need to follow the Nyund stream from the village of Kareri, leading right up to the lake.